Product produced in GSM range 180 to 600 with Ply bond range of 200 J/m2. Widely used in Paper cones/Mill Cores and Partial Winding application and edge protectors. MF surface suitable for Proper Glue and lamination applications. 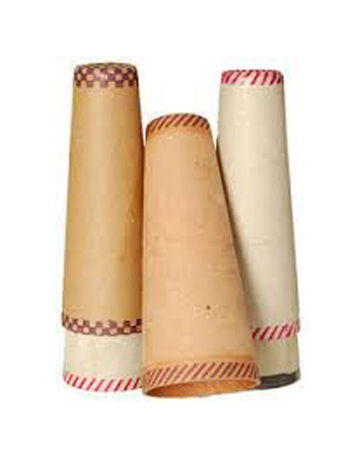 Cones manufactured out of Kraft Board are suitable for steaming application. Paper mills Cores with 12/14MM wall thickness are made using Kraft Board.